The Isle of Man TT (Tourist Trophy) Festival is a series of motorcycle races held annually on the Isle of Man in June of each year, since the inaugural race of 1907. 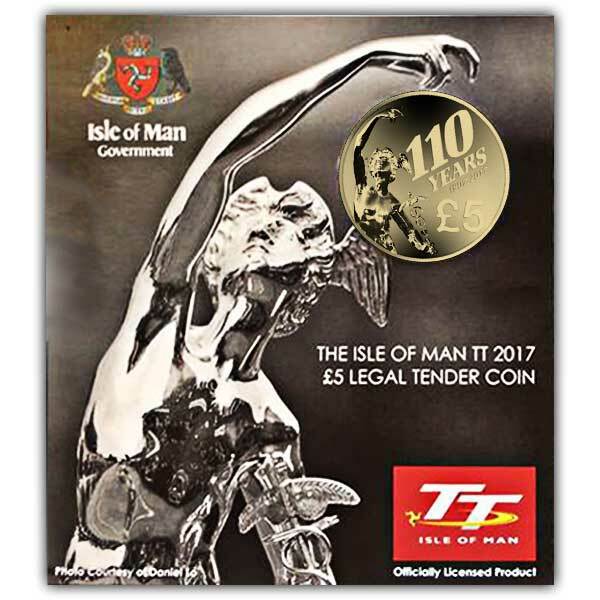 The Isle of Man TT for many years has been recognised as one of the world’s most prestigious motorcycle events and is also regarded as the ultimate test for competitors and machines alike, attracting competitors from around the globe. The new more compact five pound coin has been struck in Alpaca metal and has a diameter of 32mm. 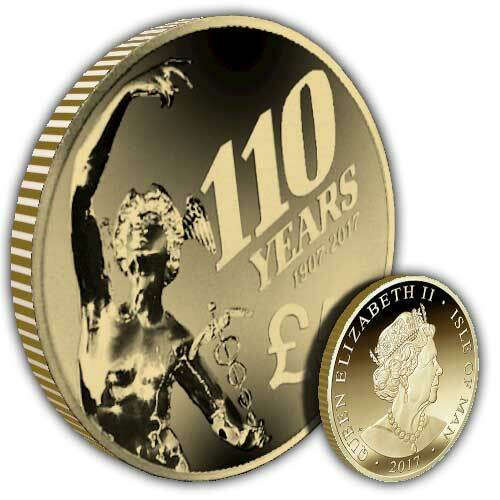 The obverse design depicts the portrait of Her Majesty Queen Elizabeth II, design by Jody Clark. The inscription reads “QUEEN ELIZABETH II ISLE OF MAN 2017”. Excellent gift if you are finding it difficult to purchase for the guy who has everything. Excellent coin which was well packaged and quick postage. Once again delighted with price quality and super quick service will definitely buy again and have no hesitation in recommending .